Eaglesfield Comprehensive School, Shooters Hill, London, United Kingdom. Guy's Hospital Medical School, University of London. Qualified 1984. 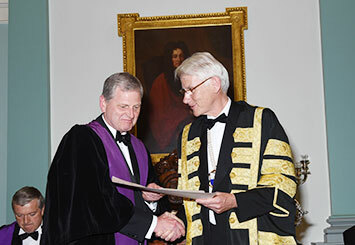 Honorary Fellow of the Royal College of Physicians of Ireland (FRCPI): 2015. Professor Kilby was appointed as an Honorary Consultant in Obstetrics and Fetal Medicine at the Birmingham Women’s Foundation Trust and a Senior Lecturer in Maternal and Fetal Medicine at the University of Birmingham in March 1996. His basic education was at Eaglesfield Comprehensive School, Shooters Hill, South-East London, where he obtained 12 ‘O’ levels and 3 ‘A’ levels. After qualification from Guy’s Hospital Medical School in 1984 (obtaining a Certificate of Merit in the Goldenberg Medal Examination in Obstetrics and Gynaecology), he performed his house jobs at Guy’s Hospital and Greenwich. He was then attached to junior obstetrical and gynaecological posts in London, Nottingham and the West Midlands. After a period as a junior doctor on the Senior House Officer/Registrar rotation in Trent and as a researcher at Nottingham University, he was awarded a Doctorate of Medicine degree for his thesis in 1990 (Human Platelet Intracellular Free Calcium Concentrations in Normal Pregnancy and Pregnancies Complicated by Hypertensive Disease of Pregnancy). This was under the supervision of Professors Fiona Broughton Pipkin and E Malcolm Symonds. He then joined the West Midlands Junior and Senior Registrar rotation until 1992. He was a Senior Registrar and Lecturer both at Keele University and the University of Birmingham. He obtained his Membership of the Royal College of Obstetricians and Gynaecologists in 1991. He undertook a sabbatical at the University of Toronto, Canada (Department of Fetal Medicine, Mount Sinai Hospital and the Samuel Lunefeld Institute, University of Toronto) where he worked on research relating to fetal cardiac function during in-utero transfusion of the anaemic fetus. He was accredited in General Obstetrics and Gynaecology from the Royal College of Obstetricians and Gynaecologists in 1995. After a further two year period of specialist training in Birmingham (with Professor Martin J Whittle), he obtained full subspecialty accreditation in Maternal and Fetal Medicine in 1996 from the Royal College of Obstetricians and Gynaecologists. His GMC number is 292674 and he is both on the general register for Obstetrics and Gynaecology and the specialist registers for Maternal and Fetal Medicine at the GMC. In May 2013 he was awarded a Gold National Award by the Advisory Committee on Clinical Excellence (ACCEA) in March 2012. Professor Kilby is one of five accredited Consultant subspecialists providing local, regional and supra-regional care for pregnant women with illnesses of the fetus at the West Midlands Fetal Medicine Centre at the Birmingham Women’s Foundation Trust. This centre has a catchment from the West Midlands which is one of the largest geographical areas in the United Kingdom and has a referring population of approximately eight million. This centre has a large clinical referral base and provides an extensive number of local and tertiary patients for clinical opinions. Prenatal diagnosis (the detection of fetal anomalies). 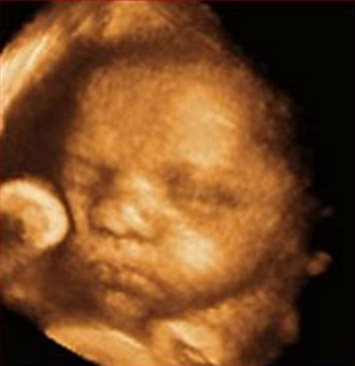 Fetal therapy (the treatment of the baby in-utero). The management of Monochorionic twins and high order pregnancies. He co-runs (with his colleague, Dr Denise Williams), a monthly joint Fetal Medicine/Clinical Genetics Clinic. 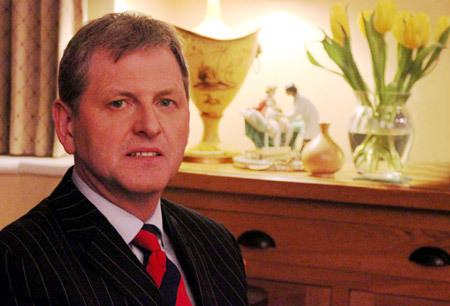 He was elected as the Fetal Medicine Representative on the Executive Committee of the British Society of Maternal and Fetal Medicine (http://www.bmfms.org.uk/) between 2000 and 2006 and then was subsequently re-elected as the “Academic Member” from 2008 to 2011. He was elected as President of the British Maternal Fetal Medicine Society from 2011 until 2014. He was an elected member of Council of the Royal College of Obstetricians and Gynaecologists (as a representative for the West Midlands region), between July 2002 and June 2007. During this time he served on the RCOG Subspecialty Training Committee (1998 to 2003), the RCOG Education Board (2001 to 2004), the Scientific Advisory Committee (2005 to 2006) and the RCOG Finance and Executive Committee (2006 to 2007). He was elected as a Fellow of the Royal College of Obstetricians and Gynaecologists in September 2007. He was further elected in March 2011 to be the Fellows Representative on the Council of the Royal College of Obstetricians and Gynaecologists for the West Midlands region, a post he will hold for six years (http://www.rcog.org.uk/council). Professor Kilby has served on several charity research advisory committees and was Chairman of the Wellbeing of Women Research Advisory Committee between 2008 and 2011 (http://www.wellbeingofwomen.org.uk). He was Chair and Editor of the 2006 Royal College of Obstetricians and Gynaecologists Scientific Working Party on Multiple Pregnancy (the 50th Scientific Working Group) and was Chairman of the National Institute of Clinical Excellence Guideline Development Group on Multiple Pregnancy between 2009 to 2012 (http://guidance.nice.org.uk/CG129). He is an invited member of the International Fetoscopic Working Group (elected in 2005) (http://www.fetoscopygroup.org) and is a member of the North American Perinatal Research Society (elected 2004) and gave the Mead Johnson Lecture at the meeting in 2011. He is also a member of the Society of Gynecological Investigation. 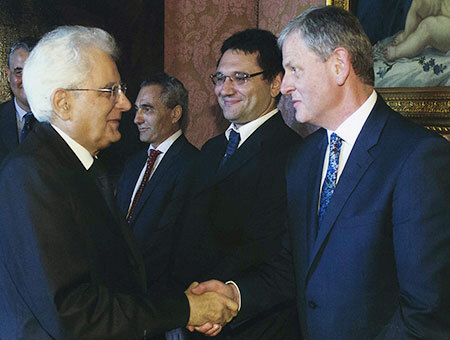 In 2015 he was awarded the prestigious “Arnaldo Bruno” International Award for Obstetrics and Gynaecology by the Accademia Nazionale dei Lincei in Rome (founded in 1603) (http://www.lincei.it/files/vorse/369_announcement.pdf/).